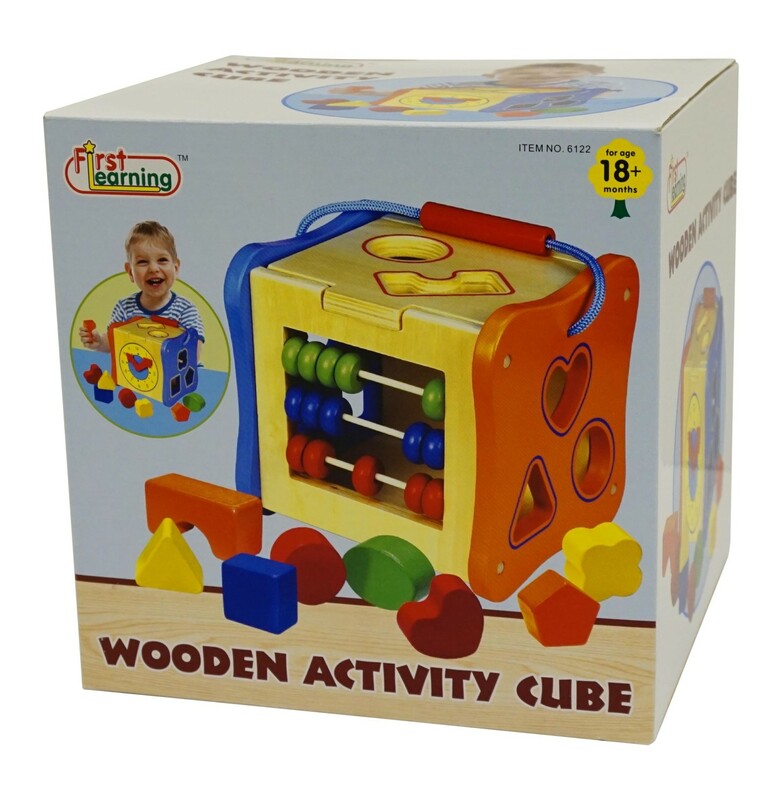 This wonderful activity cube includes Five fun different activities. SKU: F166122BAN. Categories: Baby and Preschool, Wooden Toys, Toys. Includes a removable and reversible top with Bead Maze. Bright, colorful artwork on every piece and every panel. Each side has a different activity.